Paul Pogba's perceived gesture to French media has increased the spotlight on him at Euro 2016. 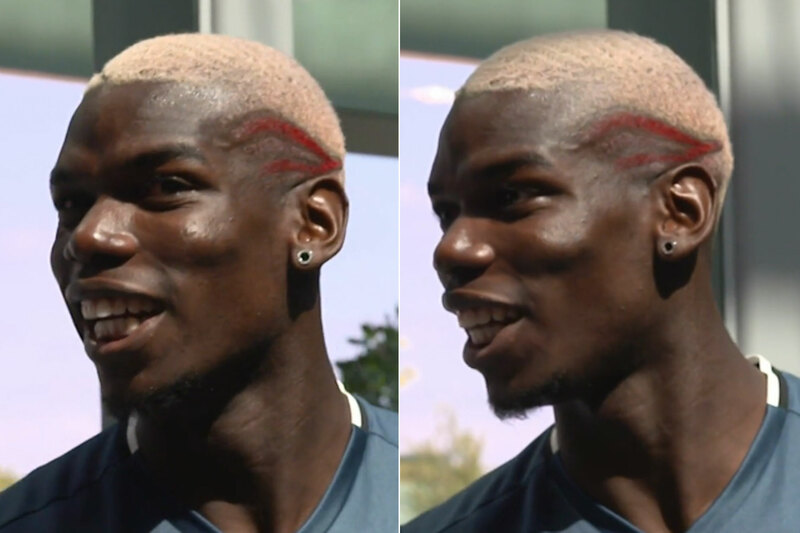 Paul Pogba wanted make headlines in the France team at this tournament, but this is not what he had in mind. The 23-year-old Juventus midfielder was caught making a gesture in the direction of the press box after Dimitri Payet had scored France’s second goal in its late win over Albania, and his actions have been the talking point surrounding Les Bleus. Pogba, who had been dropped to the bench for the game and was on as a sub after a disappointing performance in the opener against Romania, claimed he was doing nothing offensive, but that seems to have added to the criticism onslaught. The story has all the ingredients of a typical France-at-a-national-tournament controversy, and the truce that exists between the team and country is a little more fragile going into France’s final group game against Switzerland Sunday. As far as we know the facts, this is what happened: France’s host broadcaster BeIN Sports caught Pogba allegedly making a bras d’honneur, a gesture where the left palm goes into the inside of the right elbow with the right arm bent. It’s the equivalent of giving the finger, and it came after Payet’s goal sealed a nervy 2-0 win. BeIN Sports director Florent Houzot explained that he did not want to make any problems for the France team (he ended his email to staff with the words, "Allez les Bleus!"). Critics responded that he is simply trying to protect his company’s good relationship with the team; several players spoke live to charismatic host Darren Tulett, the most popular Englishman in France, after the Albania game. But it does increase the pressure on Pogba, who does a fair job of doing that to himself most of the time. In interviews before the tournaments, he said, “I want to become a legend” and talked of rewriting the midfield position and becoming a mashup player combining the skills of Zinedine Zidane, Cristiano Ronaldo, Andres Iniesta, Lionel Messi, Didier Deschamps, Patrick Vieira, Thierry Henry and Ronaldinho. The inevitable consequence of that is if Pogba plays anything less than a fantastic match, he will be disappointed, and so will everyone else. If he looked like he was trying too hard against Romania on the opening night, it's because he was. It was a big call when Deschamps dropped him to the bench against Albania, and it was clear that he was upset. Then came his next mistake. When the images emerged—Slate called it France’s Zapruder tape—Pogba claimed it was a forearm-cross solidarity gesture to his family. L’Equipe said that by not admitting his mistake, it made the situation worse. “He would have been simpler to hold his hands up and apologize,” said pundit Christophe Dugarry, perhaps forgetting that was what caused the problem in the first place. It’s important to remember that France is through to the next round regardless of what happens against Switzerland Sunday, even if its wins against Romania and Albania needed very late goals. Pogba will start in that Switzerland game, and he may well keep his place for the rest of the tournament. But there will be even more scrutiny than normal on his performance. Now would be a good time for him to meet those ridiculously high expectations.